“The best and most beautiful things in life cannot be seen or even touched, they must be felt within the heart"
Reiki captures the wonders of life, allowing us to go forward through our lives without fear. It teaches us how to enjoy our lives, appreciate its gifts, give service for others, and live up to our full potential. This alone allows us to acknowledge our blockages, releasing our fears, to live our life as intended in blissful happiness. Our lives, along with the animal kingdom were designed to be the most amazing journey ever, full of wonder, magical experiences; child like desires for all that was put in front of us, for we were all designed to have the right amount of ingredients to hear our hearts sing. Life was never designed to have as so often seen, a journey of misery and disappointment. Today’s ‘stress’ is the core of world congestion, tipping the balance of our emotions within, co-creating all emotional and physical problems in people and in animals. Reiki is a method of hands-on healing, a channeling system, with a direct transmission of universal energy, using the very energy we are all sustained in, ‘Rei’ meaning spirit and ‘Ki’ meaning energy. Reiki is a spiritual energy; it can reconnect people to their spiritual selves. The essence of Reiki is love, as soon as you put your hands on the receiver; our hearts open up to find a great connection far beyond any personality. 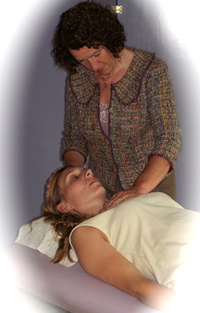 Reiki is a must for those with a great desire to alleviate many years of frustration and suffering. Discover why our lives human and animal are dominated by so much emotional and physical pain. Jacqueline teaches and practices Reiki to turn negative energy/experiences into positive transitions/changes. More and more people are discovering how Reiki can heal and make those ever-lasting changes and how it can help to forge a stronger bond between our animals and us. "For many it is the end of one journey and the beginning of another journey full of peace, harmony and true happiness." Should you have a problem that is not listed above please do not hesitate to take advantage of our FREE 30 minute consultation to see whether or not Reiki can help you. If you are interested in learning Reiki for People & Animals, please find the course programme for the full Reiki curriculum here.